Photography / Aalto University School of Art, Design and Architecture, Helsinki, funded by a grant from the Finnish Cultural Foundation. Kuovila / Skogböle 6.3.2017, peripheral watershed region between Varsinais–Suomi and Uusimaa provinces. A nighttime passenger on the Helsinki–Turku railway only occasionally sees a spot of light glint through the black mirror of the train window. Chapter contribution: Santaoja, Minna & Suonpää, Juha (Eds., 2016) Interventions: Visualizing environmental change. Oulanka research station, University of Oulu. Methodic nostalgia: topographic study carried out at Liikasenvaara Hill, Kuusamo, September 2014. Hilltop location was typical for agricultural settlements in North-Eastern Finland. Paper in refereed journal. 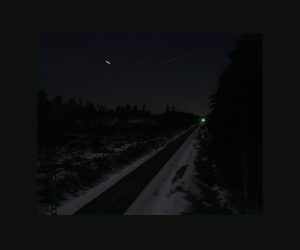 Gary McLeod, Tim Hossler, Mikko Itälahti & Tyrone Martinsson (2015): Rephotographic powers – revisiting rephotography at Photomedia 2014, in Photographic powers: Helsinki Photomedia 2014. 23.8.2016 Suomen rautateiden visuaalinen estetiikka. Ympäristöministeriö / Ministry of the environment: Kulttuurimaiseman hoidon neuvottelupäivät, Seinäjoki. 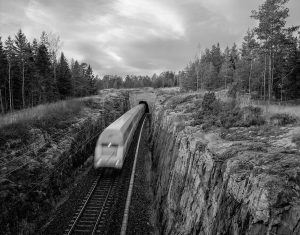 30.3.2016 Visual mobile aesthetics: landscape, photography and the railway. Helsinki Photomedia 2016: Photographic Agencies and Materialities. 29.10.2015 Suomen rautateiden visuaalinen ja kokemuksellinen kulttuuriperintö tulevaisuuden potentiaalina. Maantieteen päivät 2015 / Annual meeting of Finnish geographers: “Muutoksen ekologiat” (Ecologies of Change), University of Tampere. 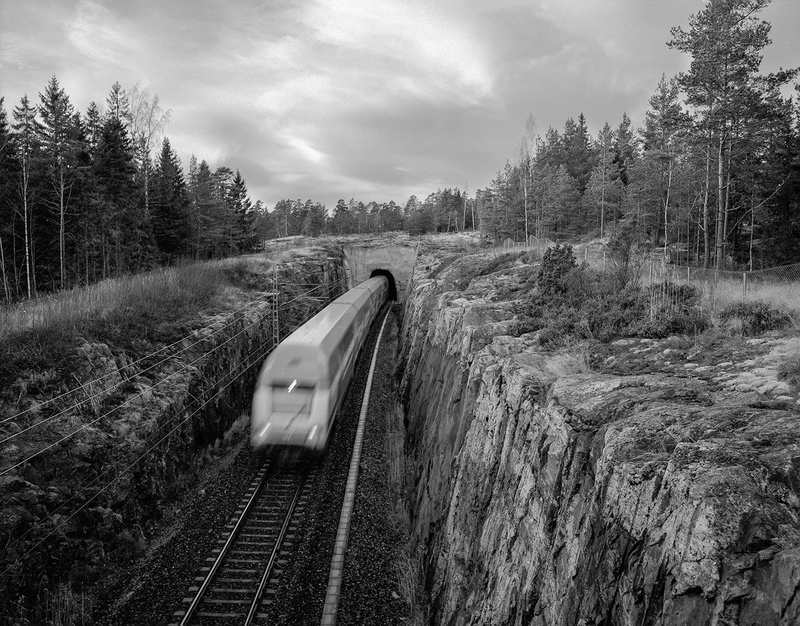 16.9.2015 The fading visual-aesthetic object of the Finnish railways? – Activist tools for championing experience-based sense of technology-culture-environment relations and sensitivity towards our spatial being. Full paper (25 p.) & presentation. “The Future of Mobilities: Flows, Transport and Communication”, Joint conference of the International Association for the History of Transport, Traffic and Mobility (T2M) and the Cosmobilities Network, Santa Maria C.V., Caserta, Italy. 26.3.2014: Rephotographing the Halikko Bridge: between the changing materialities and meanings of photographic landscape. Helsinki Photomedia 2014. 26.2.2014: Arkinen lähiympäristö ja hidas matkustaminen romanttisena kokemuksena. Kallion kävelyfestivaali, Helsinki. 26.10.2012: Hypoteeseja rautatieympäristön esteettisistä merkityksistä. Tieteellinen konferenssipaperi. Maantieteen päivät, Helsinki.